The answer to all barbed fittings! Finally no barbed fittings are required for a Highflow system and the highest possible safety can be ensure with this compression fitting. 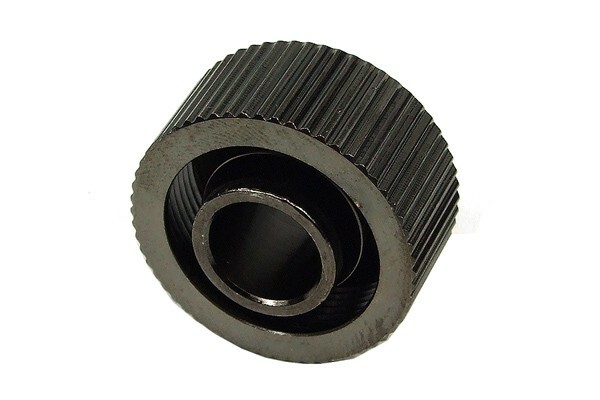 the special short thread also allows application of this fitting on waterblocks which usually require a spacer ring for fitting installation. The hose end is simply pushed onto the fitting and fixated and securely sealed by the union nut, resulting in an absolutely tight seal. The integrated O-ring additionally ensures a tight seal with the waterblock. No tools are needed for installation, just tighten by hand and you are all set to go - That's how easy fitting installation can be! Please note: The fitting is compatible with 19/13mm hoses.